WOW HITS 2020: WHAT’S YOUR PREDICTION (PART 2)? Hi everyone, how has your week been? Seeing that it’s December yet again, and it’s been about a couple of months since we posted our first WOW HITS 2020 predictions, it’s time for us to yet again predict the track list for WOW Hits 2020. So without further ado, here’s my second stab at the tracklist for WOW Hits 2020. Anyway, stay tuned to more predictions next year! Happy predicting! 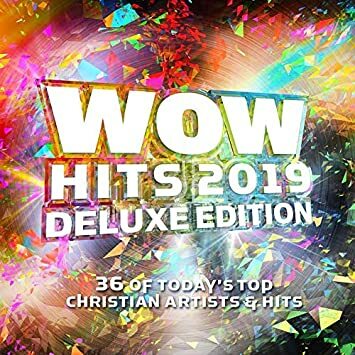 Once again, let us know in the comments if you are excited for WOW Hits 2020 to release next year, and what you would put on the compilation if you were in charge of picking the songs. Enjoy reading the post, and happy speculating! What in the world happened with the list you guys made here? This is a list based on what I think WOW will do, that is why “Me” is a bonus track, because of “Details” and “My Feet Are On The Rock” from WOW Hits 2019 being bonus tracks. 17. Church (Take Me Back)- Cochren & Co.
19. Church (Take Me Back)- Cochren & Co.